One of the safest and most popular cosmetic procedures currently performed, liposuction continues to become more advanced with the development of new techniques and technology. 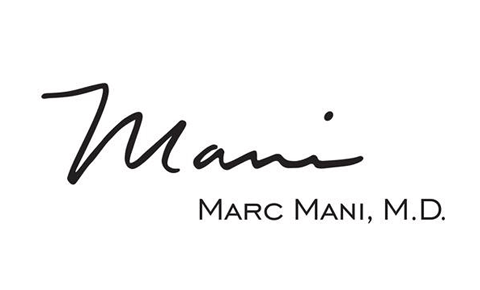 Dr. Marc Mani is a leading Beverly Hills liposuction surgeon that has sculpted the bodies of numerous patients in his many years of practice. He is not only technically skilled in the latest techniques, but also artistically inclined, following the principles of balance and proportion for beautiful results. It’s important to understand that liposuction is used for fat reduction, but it is not weight loss surgery. Overweight or obese individuals do not make suitable candidates for surgery. If you are considering liposuction, you should be at, or close to, your ideal weight. You should be in good physical and psychological health and free of any chronic, uncontrolled medical issues that could raise the surgical risks. For the best results, you should have good skin tone and elasticity, which will help your skin contract over your newly contoured area after surgery. To determine whether you are a suitable candidate for liposuction, please schedule an informational consultation with Dr. Mani. Call our office at (310) 203-0511 to set up an appointment. The consultation is a good opportunity to accomplish several objectives: a) Dr. Mani will determine whether you are a good liposuction candidate; b) you will learn more about the procedure; and c) both of you will discuss your liposuction goals/expectations. Dr. Mani will perform a physical examination of the area(s) of your body you wish to have treated. He will note the tone and elasticity of your skin, and ask you to describe your ideal outcome. He will ask you questions about your health status and medical history, including medications you take and previous surgeries. You can ask questions about the procedure and bring up any concerns you may have. Dr. Mani will discuss how he plans to approach your case, and he will make you aware of the possible (and rare) complications, including contour irregularities, skin discoloration, asymmetry and scar tissue. If you decide to move forward and schedule your procedure, you will receive detailed instructions on how to prepare (i.e., avoiding certain medications). Liposuction is performed on an outpatient basis at our accredited surgical facility. General anesthesia will be administered prior to surgery. Depending on the number of treatment areas, the procedure can take an hour or more. Dr. Mani will make small (less than half of an inch) incisions in the treatment area(s). He will insert a thin, hollow tube called a cannula through the incisions and move it back and forth to break up the fatty tissue. Then, the fat is removed from the body using gentle suction. Dr. Mani will close the incisions with sutures and place a special surgical garment that provides support to the newly contoured tissues. Swelling and bruising are common after liposuction and will subside within approximately two weeks. It is also normal for the incision site to feel numb, burn or tingle. The support garment will help apply pressure, minimize swelling and assist in the retraction of the skin. In the beginning of your recovery, you will need to refrain from strenuous activity as your body heals. You should take short walks at first and slowly increase your activity level until resuming full activity two to four weeks after surgery. Patients heal at a different pace but generally return to office work three to five days after surgery and physically demanding jobs 10 to 14 days after surgery. Avoid sun exposure until post-operative bruising has resolved; decreased sensation can make it more likely to become sunburned. You will see results almost immediately, and they will improve as the swelling subsides. You will feel leaner, more attractive and more confident with your new curves and contours. You may find that you prefer wearing more body-conscious clothing styles. Liposuction results are permanent. If you were to gain a significant amount of weight in the future, you may see rippling in the treated area, depending on your skin elasticity. To maintain your results, stay at a stable weight. Liposuction scars may appear red and possibly raised for 8 to 12 weeks following surgery; then they will become pale, flat and soft. Dr. Mani will do everything he can so that scarring is inconspicuous (please alert him if you are prone to keloid scars). To learn more about liposuction and what it entails, please contact Dr. Mani and schedule a one-on-one consultation. Call our office at (310) 203-0511 or send us an email today.